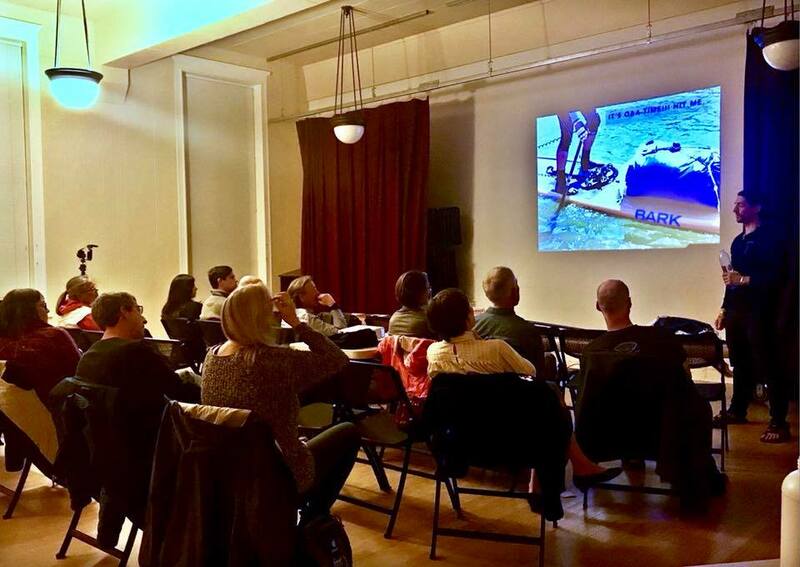 Karl Kruger kept us captivated at our last event with his story of completing the Race to Alaska on a stand-up paddleboard. Whether we are on a day trip or a multi-day trip, moment by moment decision making is important and he imparted to us how he made some critical decisions throughout the course. He paddled 766 miles in 15 days. Karen Scharer has been going through our database and has sent out renewal notices to many of you. The results have been heartwarming, and we appreciate all of you who have responded. We visited Deception Pass State Park. We were lucky to run into Curt Chester, who is the camp host, along with his wife. He walked me over to the site, and then we visited the interpretive center. Because many of our members have called us to help with trip planning for the Seventy 48 Race, we accomplished some site visits along the route and posted videos to our Facebook page. As they have been so popular we are continuing to do more. Are you racing? We have discovered that many of our members are! We would like to offer our support in trip planning. The race course is fairly wide-open from Tacoma to Port Townsend. It starts in the evening and some of volunteers, Harry Oesterreicher and others, have identified sites on Vashon and Blake as potential spots to rest during the night. After plotting your course, and figuring your speed, you can see if our sites fit into your plan. While not for navigation, here is a dynamic map of sites (you do need to enlarge the map for the sites to show up). Please email us for more information – we have had a few people join in order to get the guidebook. Our main worry is that people may take-out on private land. Volunteer work parties are a great way to support WWTA and help maintain the Cascadia Marine Trail! Our next one is this Saturday at Blake Island starting at 9AM. Meet the park ranger in Manchester to ride the boat or paddle over on your own. We will be clearing campsites and hiking trails. Contact Harry Oesterreicher mail@harryo.com to RSVP or with any questions. 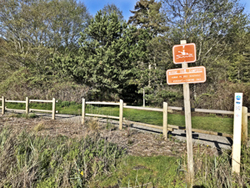 Of course access to the water for everyone is one of our most important goals, and to this end we have connected with Vashon Island Parks to help re-open Winghaven. What we really need is to grade the road so we can get a port-a-potty back down there, along with a lawn mower. Do you have any resources for grading and/or gravel? This would be our first favorite way to get this done, through a pro-bono path. Otherwise, we may try a bit of crowd-funding or grant writing. The project could cost up to $15,000. After speaking with Elaine Ott-Rocheford, the Executive Director, we have a goal of opening the site for the https://www.seventy48.com/ – a race from Tacoma to Port Townsend on June 11, 2018. Other site projects we are focusing on are Point Doughty and a closed site along the Portage Canal near Port Townsend. Don Crook (Vice President and Vice President of Trails), Adam Brandt (Secretary), Phil Philbin (Treasurer), Mike Macker (Technology Committee Chair), Karen Scharer (Membership Committee Chair), Tomas Tabisola (Club Liaison) Rob Casey (Marketing Director), Dan Strauss (Operational Excellence), Darrell Kirk (Fundraising and exploring a SalesForce grant), Sean Ardussi (Grant Writing). We have updated our website look-and-feel and are excited that Ivan Storck and Chad Coker are working on some enhancements to integrate our membership database. Bill Brakin has kindly updated our online trail sites with information gleaned by Don Crook and Michael Silence. *We have a been bringing many wonderful volunteers to help in various areas but can use more help here-and-there! If you have a specific interest, please let us know. ⟵Our New Cascadia Marine Trail Map!